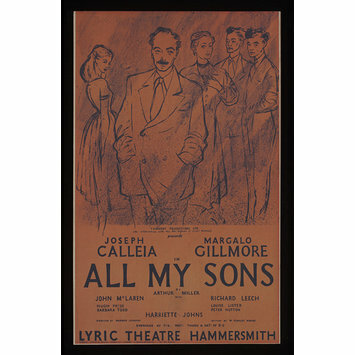 Poster advertising Arthur Miller's All My Sons at the Lyric Theatre Hammersmith, 1948. 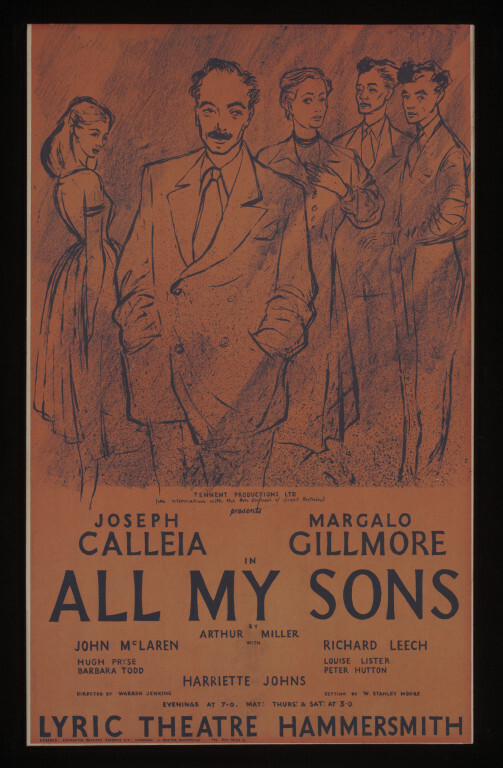 Red and black printed typographic and pictorial poster advertising Arthur Miller's All My Sons at the Lyric Theatre Hammersmith, 1948. The poster features line drawings of three men in suits and two women in mid-length dresses. Given to the British Theatre Museum Association by Reginald Cornish in November 1966.